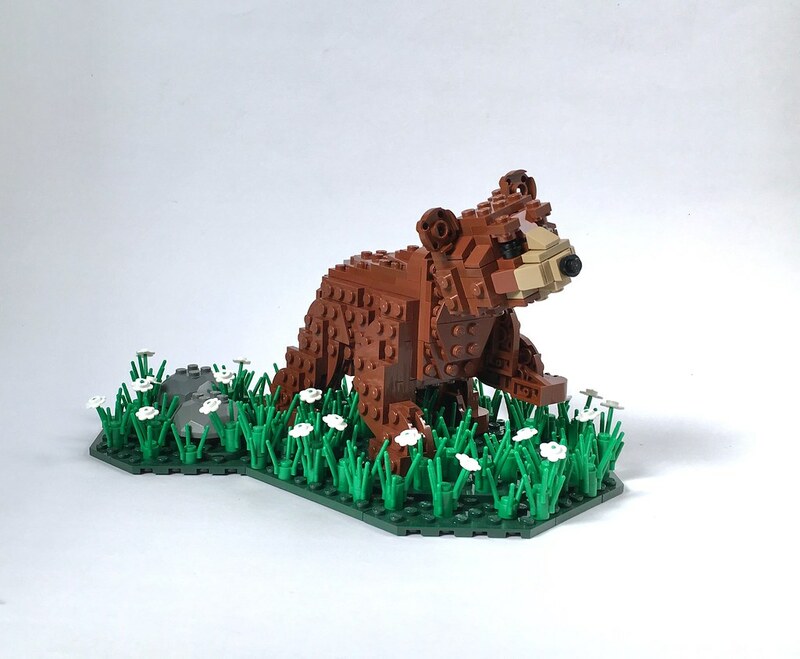 Bear Cub model from my Woodland Creature series in a static walking pose. Measures 4.5 inches (11.25 cm) tall. 213 parts in 41 lots. 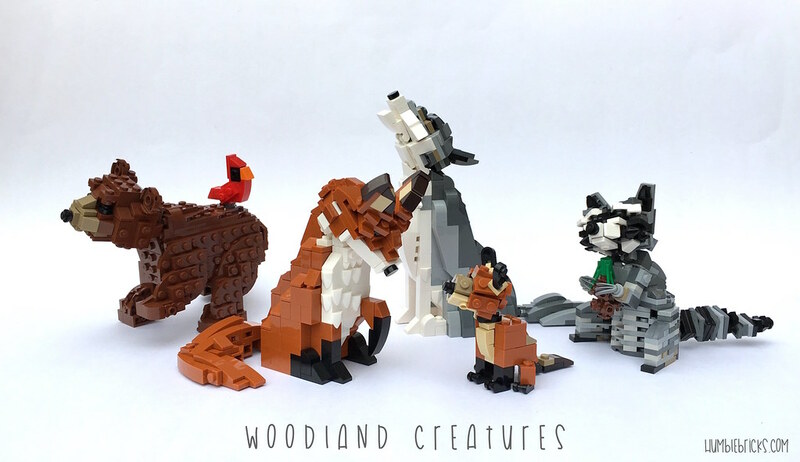 Please visit https://Humblebricks.com/animals for free PDF instructions and Lego Digital Designer file for the grass base.